Cedars of Lebanon-Hotel Le Gray, Beirut. – Drillworks. 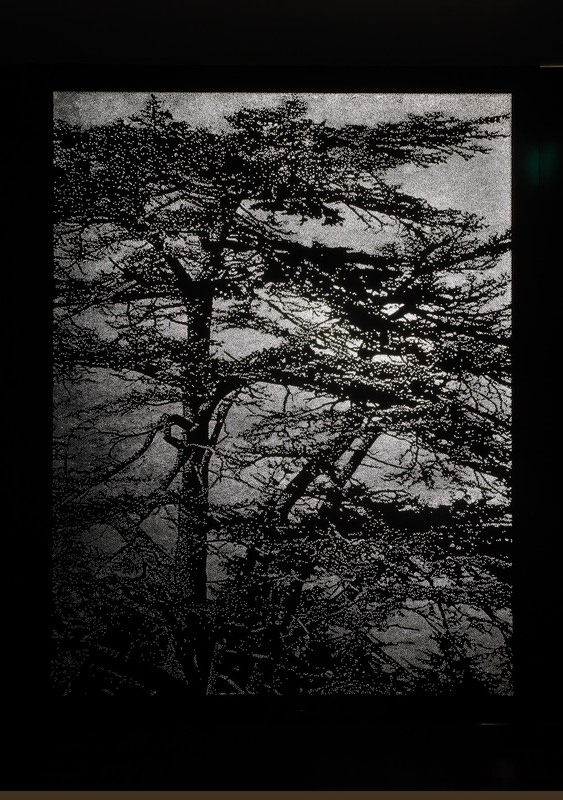 In the penthouse bar of the Hotel Le Gray in Beirut, this piece of work derived from photographs I took of cedar trees , the symbol of Lebanon. The work is approximately 2.5m x 1.5m and lacquered in a midnight blue satin lacquer. All the drilling was done using a 2mm drillbit.